I am excited, honored, & humble﻿d to have been chosen as your State Representative Elect! ​I am excited, honored, & humbled to have been chosen as your State Representative Elect! I have worked hard campaigning over the past 8 weeks, but y’all haven’t seen my best yet! I am eager to serve all of you in Baton Rouge! I will continue to earn your respect & trust every single day! I’d like to thank my two opponents, Steve Casey & Perry McDaniel, who, like me, ran clean, honorable campaigns. Looking forward to working with both of you & proving to you & your supporters that I have all of District 7’s best interest at heart! Again, thank you, District 7 voters for entrusting me with your voice in the legislature! All we want is for you to take a few minutes to get to know Larry Bagley. A Brief message from A.W. McDonald and Johnny May who are voting for Larry Bagley for State Representative. Larry Bagley of Logansport is announcing his candidacy for the Louisiana House of Representatives, District 7. He is seeking to follow in the footsteps of Richie Burford, who is seeking a seat in the Louisiana State Senate. Larry Bagley has been involved in education, retiring after 44 years. Most of those years have been as a coach and Assistant Principal. 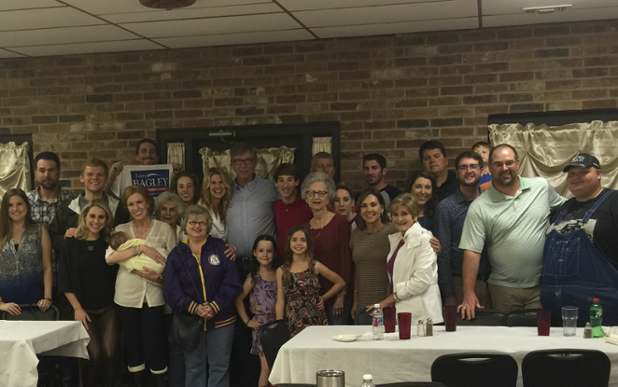 He is certainly no stranger to the people of the State Representative, District 7, consisting of Caddo, DeSoto and Sabine parishes, having dedicated 44 years to teaching, and being an active participant in the local governmental and civic organizations. He has served two terms as a Logansport City Councilman, is the former President of the DeSoto Parish Teachers Association, and served as the President of the Louisiana Association of Basketball Coaches.